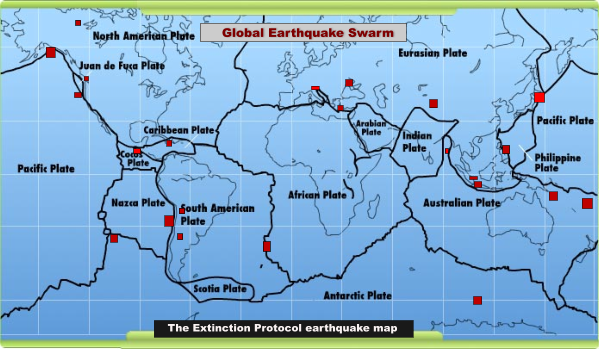 February 2, 2013 – EARTH – An earthquake of magnitude 6.7 struck off the coast of the Solomon Islands (Santa Cruz) in the Pacific Ocean, the U.S. Geological Survey said on Friday. The quake was later downgraded by the USGS to a 6.3 magnitude event. The depth of the quake was 10 km (6.2 miles) and the epicenter was 68 km southwest of Lata. The quake hit at 9:16 a.m. local time on Saturday. The Pacific Tsunami Warning Center did not immediately issue any alerts on its website. This quake was underscored by an even stronger 6.9 magnitude earthquake that just struck the Hokkaido region of East Japan on February 2nd. 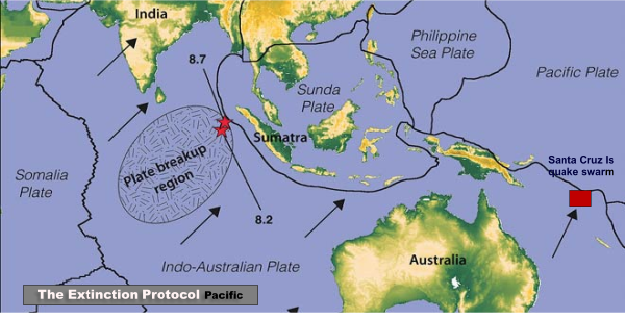 This is the ninth major earthquake to strike the planet in the last five days. The present cluster of earthquakes began with a 6.0 event in Eastern Kazakhstan on January 28th, following a full moon on January 27, 2013. Perhaps, it may not be readily apparent to most that our planet appears to now be inching towards the spectrum of some major cataclysmic event. This approaching black swan occurrence is characterized by the gradual escalation of geological activity of a violent seismic and volcanic nature. 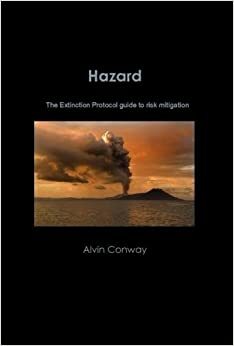 44 volcanic eruptive events have already been recorded for the month of January; where there was only 77 chronicled for the entire year of 2012. The on-going volcanic activity in Kamchatka also provides compelling testament that massive changes are now taking place within the planet’s interior. No less than 4 volcanoes on the Far Eastern peninsula of Kamchatka are erupting simultaneous, though all the volcanoes lie in relative close proximity to each other (with a 110 km radius). Even more interesting, the magma flow fueling each volcanic system appears to emanting from a separate magma source. However, what’s even more disconcerting is the fact that Plosky Tolbachik volcano awakened from 40 years of dormancy and is now ejecting massive rivers of lava across the landscape of Kamchatka. Russian scientists attest this is the first time rivers of lava have ever flowed from one of the Kamchatka volcanoes during the Holocene period. Large-scale protracted effusive eruptions, such as these, are generally fueled by a deep magma source. Most originate from a magma plume from deep inside the planet’s crust. Both of the planet’s volcanoes, which have had large effusive eruptions in the past, Kileaua (Hawaii) and Mount Etna (Italy) both lie over magma plumes- Kamchatka’s Plosky Tolbchik volcano does not. Kamchatka peninsula, which has a total land mass that is slightly larger than Germany, is one of the most active parts of the infamous “Ring of Fire,” the zone of volcanic and seismic activity that encircles the Pacific Ocean. Three tectonic plates — the North American Plate, the Okhotsk Plate, and the Pacific Plate — collide beneath Kamchatka, with the peninsula’s coastal range boasting 30 active volcanoes. The crust is thinning here, and is becoming more fractured, as seismic stresses increase. This entry was posted in Breaking News Event, Civilizations unraveling, Earth Changes, Earth Watch, Earthquake Omens?, High-risk potential hazard zone, Land fissures, cracks, sinkholes, Lithosphere collapse & fisssure, Magma Plume activity, Planetary Tremor Event, Potential Earthchange hotspot, Seismic tremors, Signs of Magnetic Field weakening, Strange high tides & freak waves, Tectonic plate movement, Time - Event Acceleration, Volcanic Eruption, Volcano Watch. Bookmark the permalink. Thanks Alvin, we’re definately in for a bumpy ride. Praying for all to be safe and prepared. God Bless you, for your tireless efforts to warn. I am not as brave a person as I should be………. What is the average number of magnitude 6 earthquakes in a year? I’m trying to see if the world should be concerned about this. Thanks! 134 That’s an average of 11.2 per month. We’re two days into the month, and already have had 5. If people still think things are normal, and the Earth is just doing its thing, I advise them to turn over and go back to sleep. That way, they’ll never know what hit them…when it all goes down. We all get faint of heart at times. But by knowing these things were written by followers of our Lord Jesus , we can be assured that when our time comes our faith will conquer our fears. Keep the faith, let our Lord take care of the rest. By coming to this site you can see the words of Jesus being fulfilled. O so true,and it is so exciting to see what is happening,it means that his comming is soon,and much sooner than many want it to be. As the Bible rightly says, ”The earth is waxing old like a garment”! I have been following all the quakes, if you go digging you would be actually be amazed at how many have registered 4.0 and larger that are pretty shallow just since this year begin. On January the first there was more than 168 registered quakes 2.5 and greater. I love reading Articles where one scientist says this is norm and another scientist are scratching heads trying to figure things out..
My opinion is that they are all full of crap kind of like meteorologist. ” it’s going to be 80 degrees and sunny tomorrow” and you wake up to 5 feet of snow.. These people seem to think they can predict earth changes and weather. I recon I’m just going to do what I do best and sit on my dairy air and watch the fireworks take off.. It’s not like we can do anything about any of it anyway. Just enjoy day by day and be thankful for everyday we have. That was such a kind, comforting and True statement you gave to Radiogirl. God bless you, friend. This is crazy! I am reading about the Santa Cruz earthquake swarm in your post and now we just had a 5.1 followed by a 6.1 just now in the Santa Cruz area. Thank you for being so encouraging and I love your reply of Luke 21:28 to Radiogirl. We need to be standing firm as the body of Christ and lifting each other up in prayer and holding tight in faith to the unseen hand of God. Much love and blessings to you as always! An unprecdented three comets appearing in one year. There is no question, “there shall be signs in the sun, and in the moon, and in the stars; and upon the earth distress of nations.” The time is at hand, and the night is far-spent. So like your comment and especially find your quote for “derrière” cute mommabhappy. Lol. Thanks lindee Lou . I was thinking for a few weeks that we seem to have been in a lull, seems like another bigger, stronger birth pang is on the way. If it carries on like this, resonation could become a real concern. Anything can vibrate once it reaches it natural frequency. of trouble ahead/bad tidings for the humans race such as conflicts and upheavels in goverments. and that is why we were seeing in some countries the rise of sea level and earthquakes and we could expect divine intervention. would be on super bowl sunday, the world series, final four or pro basketball. I just feel like it is coming to an end sooner than later and not because of lawsuits or strikes. Could this be the year? Well, one thing is for sure, the earth isn’t waiting……….. Since comets have elongated elliptical orbits, which can take thousands of years to appear…no one could call them a prophetic sign unless they were around thousands of years ago to know they would pass again. I do not like 2013 Dennis. Ask me why and I will baulk. When the amount of near Earth asteroids and comets started to appear my heart sank. Why, I have no idea. I am not one for foresight or feeling of anything, just a wish that this year was behind us. Well, Tonic, Dear, 2013 is here and its coming on strong and don’t delay…. level. No sweat no fret, just be aware and prepare if can….. Thank you, Dennis. You take care too..
Hey, Tonic: I think that dread and heartache is the Spirit within you. See Amos 5:18-20. Jeremiah 30:7, 46:27-28, Isaiah 13:6-11, Joel 2:30-32. The day is dark and awful. We will tremble and weep before God. 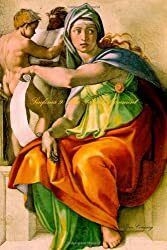 But, read in context, these passages and others like them also offer hope: judgment from God is visited upon the enemies of God (most often for idolatry and arrogance). In the LORD is deliverance; call upon Him, and, whether you live or die, you will be saved. Hey, Alvin, I want to apologize for my “lack of brevity” here (and elsewhere recently) and I am trying to be concise with the info and links. Thank you, sir! Comets also have been considered to be both good and bad omens. “. . .the Prophet Ezekiel mentions that those who witness the fulfillment of the messianic prophecies regarding Zion will say: “This very Land, which had been desolate, has become like the Garden of Eden!” (36:35) In this spirit, the Prophet Isaiah proclaimed: “For Hashem will comfort Zion, He will comfort all her ruins; He will make her wilderness like Eden and her wasteland like the Garden of Hashem; joy and gladness will be found there, thanksgiving and the sound of music” (Isaiah 51:3). You are right about that Alvin, change IS upon us. The Father is preparing to send His glorious Son back. It’s a win-win situation for those who love and worship Him, but not so much for the ones who have been wreaking havoc in our world since the garden of Eden. Satan and his minions’ time is about up and I find that alone a wonderful proposition, but even better than that is the Lord being the ruler. When the wicked rule the people mourn but when the righteous rule the people rejoice. We can pray to be sealed, hope to be found worthy in some small way to escape all these things about to come upon the earth, and prepare our hearts for the great and awful day of the Lord. Be still my heart for our redemption IS drawing hear. He is coming with an army of angels and has promised not to forsake us. He tells us not to fear so fear not. It’s interesting to me that now people who mock and scorn those who have been trying to warn time is short, now look crazier than us for their denial of something unprecendented happening in the world. Just on the idea of being sealed. I have always wondered about that myself. You know the 144000 and the like, being impervious to the terrors and plagues to come. I was reading Ephesians 1 and read the following. In whom ye also trusted, af­ter that ye heard the word of truth, the gospel of your salvation: in whom also af­ter that ye be­lieved, ye were sealed with that holy Spirit of promise,  Which is the earnest of our inheri­tance until the re­demption of the pur­chased pos­ses­sion, unto the praise of his. Amen David. Whenever I start feeling anxious, I also turn to Scripture to remind myself of His promises. Beautiful verse, David and I am glad you threw it out there! I believe many things are shut up until the end of this time, but all will be revealed. We are in the time of revealing now and it is a most exciting time to witness. I know many are feeling anxious about what they are seeing happening in the world, but the more prophecy that is fulfilled, I feel more at peace. Everything is in His control and His time, and this is more than sufficient for me. Well said Sue. We look foward to His return. I look to the Heavens often with wonder and anticipation. But I also know it will happen in the twinkling of an eye, so I probably wont see it coming. Praise The Lord our God. Have faith and stand righteous, for the time is near. Beautifully said Susan and nice to come across another sister in Christ. Indeed praise His precious holy name Jesus Christ the Savior of the world. All hope and eyes on Him and Him alone. Blessings to you. Please know that you are a major source of Faith/Hope/Love filled knowledge for those of us prayerfully awaiting God’s Kingdom come, God’s Will be done on earth as it is in Heaven. For the ‘asleep’, a new dream. For the aware, a new dimension. For the Future, a new vision. Hi Mark, I take it you belong to the Restored Church of God, which used to be the church of Herbert W Armstrong? I have studied this movement. I read some of David C Pack’s work when a friend of mine was interested.From what I have seen and studied so far, it seems to me that the Restored Church of God believes that you have the real truth about the Bible and about prophecy. Do members of your church believe that members of other Christian denominations are saved, or do you believe that only members of the RCG can be saved? I’m not trying to be difficult; it’s just that I haven’t had the opportunity to communicate with a member of your church before. Thanks. Check out Revmichellehopkins for info on Pacific Hydroacoustical stations under the sea all around Soloman Islands and Hawaii. And associated waves of infrasonic energy directed at the N. American Plate last week, should be lots of sea life washing up soon too. Have people ever considered your work pseudoscience? If so what can you or I or others do to change their minds? How do animals know their masters are about to come home or sense earthquakes before machines or humans do? Precognition is not a science, nor can science understand why animals have this sensate ability. Yet, they have it; and it has proven to be an accurate analysis tool. What we cannot yet understand or explain by the science we know makes nothing less real than it is. Read ‘The Science Delusion’ by Rupert Sheldrake. Interesting. or The Sense of Being Stared At: and other aspects of the extended mind by Sheldrake. I’ve been reading his works for some years now. Fascinating, no doubt. I just wanted to comment on how refreshing it was to read these commentaries because of the positive spirit and charity with which the comments were made. Rarely have I come across a blog like this one. Thank you! Laila, that’s wonderful to hear. The seasons are shifting in our world and I’m glad to hear you’re atuned to the signs of this change. The info is so interesting and your blog is so uplifting. Those of us who are awake can all feel in our spirit that we are on the very edge of a precipice in time. In our flesh, it feels like the end, but our spirit knows, it’s the beginning. Soon and very soon we are going to meet the King. Until that day, keep your eyes firmily fixed on the prize. Do not look to the left or the right. Do not be moved with fear by the things you see happen around you. Do not let your heart be troubled. Today being Feb 7th, there have now been on average 10- 6.0+ earthquakes in 10 days.